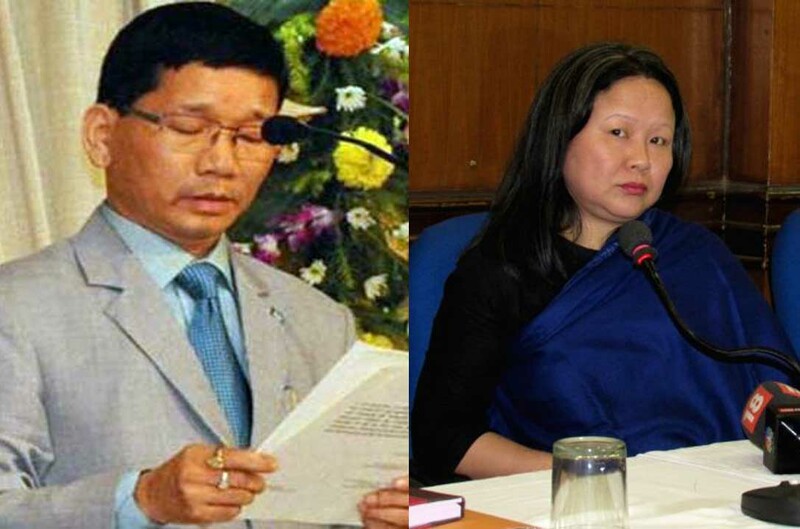 In a surprise development just before the Supreme Court was set to hear a petition filed by late Arunachal Pradesh Kalikho Pul's wife seeking a CBI probe into bribe allegations leveled in his suicide note, including against Supreme Court judges, the wife withdrew the letter. Dushyant Dave, the senior lawyer who appeared for the wife objected to the court taking up the matter on the judicial side and also opposed the listing of the issue before a bench of justices A K Goel and U U Lalit. "We had filed the plea on the administrative side and not on the judicial side. If your lordships insist on hearing it we will not participate in it and we wish to withdraw" Dave said citing the Veeraswamy judgment in his support. Following it the bench allowed Dave to withdraw the letter to CJI and the petition. Dave even went to the extent of saying that Justice Goel can never hear the matter as he was a colleague of the CJI in Chandigarh High Court. The bench said they were hearing the matter only as per the order of the Chief Justice and there was no other consideration. "IMAGE OF SC WILL BE AFFECTED"
Vehemently pleading that the issue should not be heard on judicial side and in open court, Dave said "there are a lot of allegations against judges and reputation of the institution will be affected. The institution is far more important for us". Dave said if this bench insisted to hear and dismiss it all options of alternative remedy will be exhausted and so rather they prefered to withdraw and persue remedies elsewhere. We are also planning to approach the President. If your lordships decides today all our remedies will be barred, he said. "We had filed the letter on administrative side and it cannot be heard on judicial side. Another objection is your lordships shall not hear the case. There are so many other judges.Why Court No.13? there are so many courts- 3, 4 ,5....if your lordship insist on hearing we will not participate. Even our letter says it was an administrative request abd even the Registry informed it will be coming on administrative side.Now we are surprised. And there are several other criminal benches in this court. Why here?. At one stage justice Goel insisted that he will pass an order as it concerned allegations against the institution. Dave then insisted that it will send a wrong message. Dave said he also wanted to make certain startling disclosure but could not make it in open court. "I have something more to disclose but i cant say it here. A former judge of this court met me last evening and i dont want to say anything more..."
Following Dave's sustained objection, justice Goel went on to dictate the order and ruled: " In view of the fact that there are serious allegations we had proceeded to hear the matter as it is in public intetest.But the petitioner seeks to withdraw the letter and the plea. In that view of the matter we consider the petition as dismissed as withdrawn". Raising objection to the choice of bench Dave even went on to say "we all know what happened in Sahara Birla matter and how the hearing was conducted" At this point Justice Lalit intervened and said "please do not bring other cases here"
The bench was hearing a the plea by Pul’s wife seeking a CBI probe into his death. Treating the letter written by Dangwimsai Pul as a petition (on the direction of Chief Justice J S Khehar), a bench of Justices Adarsh Kumar Goel and U U Lalit was dealing with her plea seeking a probe into his death and the allegations levelled in a purported suicide note of the former Chief Minister. In an appeal to the Chief Justice of India, a copy of which she made public at a press conference here last week, Dangwimsai Pul had said it is essential that an FIR be registered on the basis of the allegations contained in it (suicide note) and the case be investigated by the CBI since the primary allegations are of corruption of judges at the highest level. She had also alleged that her family was getting threats and she was advised not to hold the press conference in which she made the late chief minister's suicide note public. Ever since the (suicide) note surfaced in the media, my family including myself, my children and relatives have been subjected to various threats from different quarters, she has claimed. Pul had committed suicide on August 9 last year and his body was found hanging in the official residence of the Chief Minister at Itanagar. After months of intense political developments, Pul had taken over the reins of Arunachal Pradesh on February 19, 2016 for a brief period but had to relinquish the job following a Supreme Court order in July. “We want a free and fair probe in this case (into his death) and action according to law against those who are guilty of corruption”, Dangwimsai had said at the press conference.